Tags: Churidar Pajama, Churidar Sleeves, Frock, Navy Blue, Party. 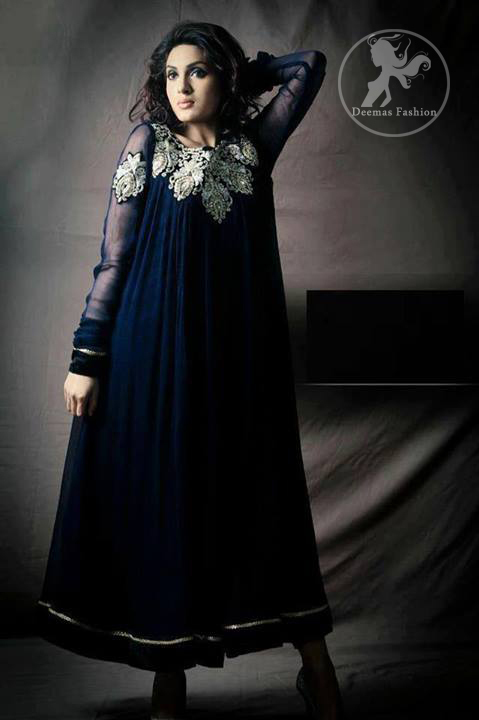 Navy blue smocking frock has been adorned with embellished neckline and motifs on sleeves. Matching velvet border implemented on hemline. 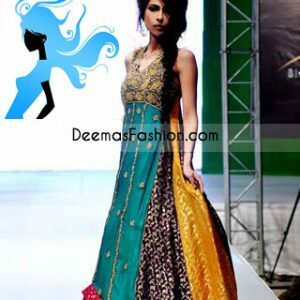 This dress comes with raw silk churidar and pure chiffon dupatta.